Last year when Levash first opened its doors on Brighton’s Gardner Street, I’ve got to admit that the first thing I thought was ‘oh great, another falafel place’. However a few weeks ago I decided to give this Middle Eastern cafe a visit and I’ve got to say it’s so much more than that. With its array of fresh, locally sourced middle eastern breakfast, lunch and dinner options, what really makes Levash stand out from the crown is its home-baked flatbread, baked daily in its kitchen. In fact it was these that I spied while walking by one day and decided I had to get stuck into one of those. Chargrilled and spongy with just the right amount of bite, these delicious wraps form the basis of all the dishes at Levant. The decor is cute, bohemian and exotic so basically it ticks all of the boxes for us Brightonians. It has a surprising amount of room inside and there’s also outdoor seating abalone making it yet another place in Brighton that’s prefect for a quick summer lunch. 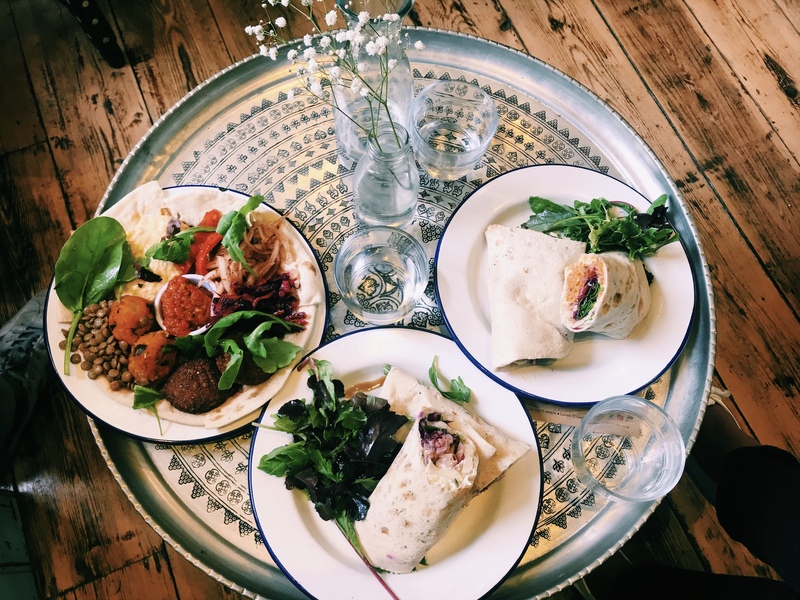 Although the menu is small it caters for everyone from its traditional meat dish like Lahmoukoun (topped with spicy lamb mince) to the veggie and vegan wraps including the lentil and burger patties wrap and halloumi and tzatsiki. They also have a selection of platters/ open flatbread also with a vegan, veggie and meat option. While primarily a lunch place, Levash is also open for breakfast on sunday, serving a selection of traditional middle eastern breakfast dishes like borek, eggs and roasted vegetables. It’s also open for dinner Wednesday to Sunday until 10pm. Overall I was really satisfied with my lunch at Levash and with prices stating from just £6, I’ll be back.